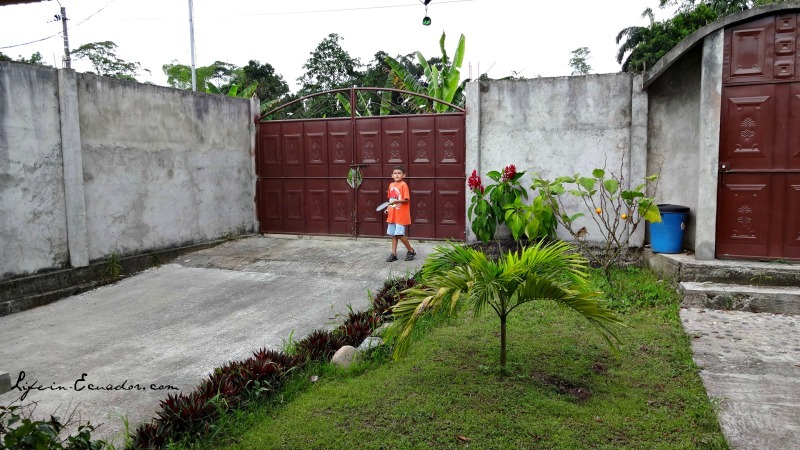 If you're thinking of moving, what kind of Ecuador housing can you expect? I will try to answer common questions here and if there is any that I haven't covered feel free to ask in the "Comments" at the end of the page. The Mountains - Most homes are made of brick or cement block. Old colonial homes were constructed with mud, clay and straw. Roofs are usually clay tiles or flat cement rooftops where clothes are hung out to dry. The Coast - There are brick and cement homes, but many homes are made out of bamboo on top of stilts for the wet season. Thatched and metal roofs are common. Typical cement homes with cement roofs. Photo taken on the coast, but similar styles are seen throughout the country. The Jungle - Brick and cement homes are more commonly seen in the cities and town. 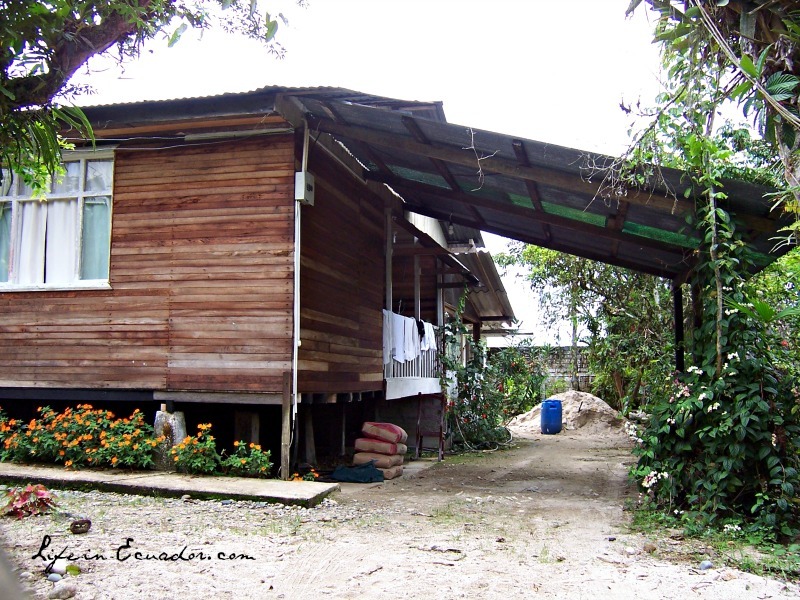 Out in the country there are lots of wooden homes built on stilts with thatched or metal roofs. Though flat cement roofs are common on cement homes, they can be overly hot in the evenings after a sunny day and aren't the best option for the rainy climate. The first house we lived in Tena. All wood with metal roof. Cement, tile and wood floors are typical. You hardly ever see carpeting. Looking for a "modern" style home? 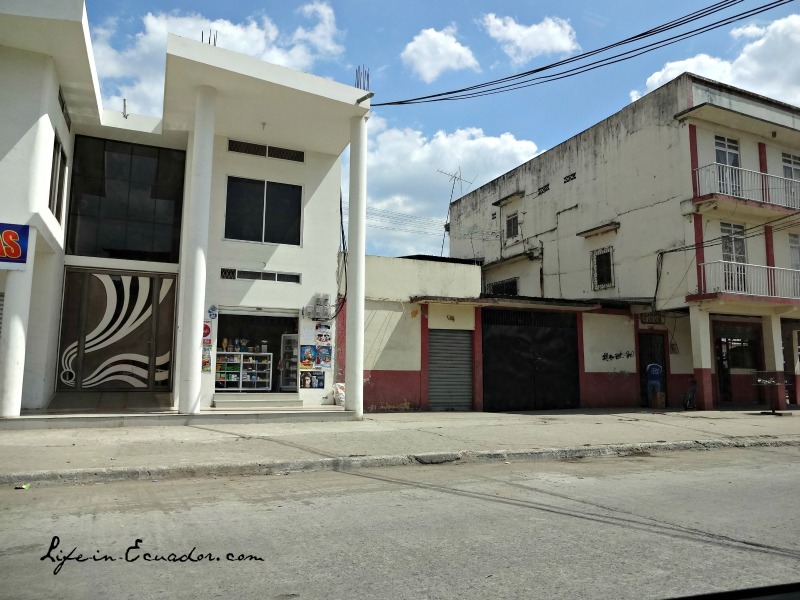 There is a great variety of home styles in every area of Ecuador. If you want something more modern you can find it. Apartments are a very common income source for many Ecuadorian families. The great majority of Ecuador housing has 24 hour electricity. Even in rural areas there is usually electricity available. Power outages do happen, but are definitely not as frequent as in years past. Both 110v and 220v are available in Ecuador. Most house are wired for 110v with a 220v outlet for the stove and possibly a 220v connection for an electric shower head. For more info on showering in Ecuador see this page. Running water is also available throughout Ecuador. When we first moved to Ecuador in 1997, the small mountain town where we lived had running water for only a few hours per day. We've been told that this situation has greatly improved in the last 20 years. The water still goes out from time to time, but it isn't very often. There is a neighborhood here in Tena that still has issues with the water, but most people in that area have holding tanks to collect rain or city water so that they aren't without when the water is off. 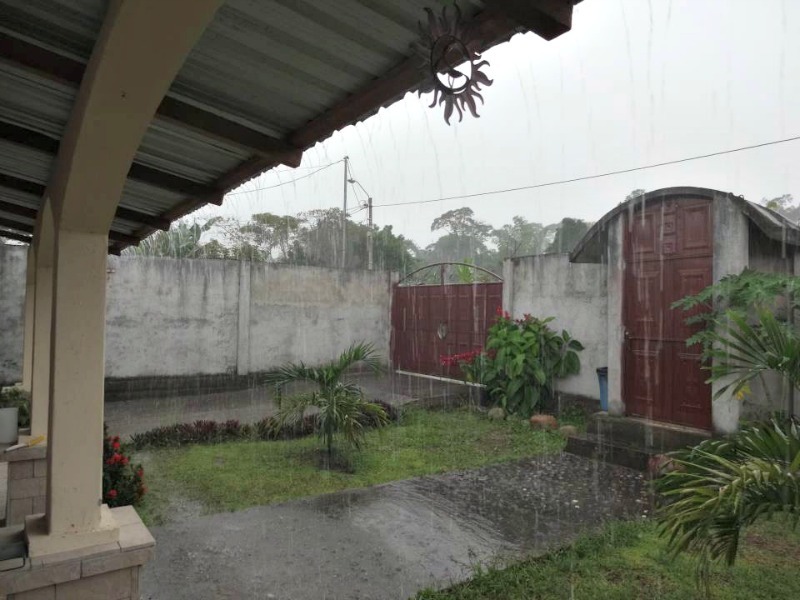 Potable water is not a guarantee in Ecuador housing. There are areas of the country that have clean running water like Cuenca and some areas of Quito, but this still isn't the norm. Hopefully soon! 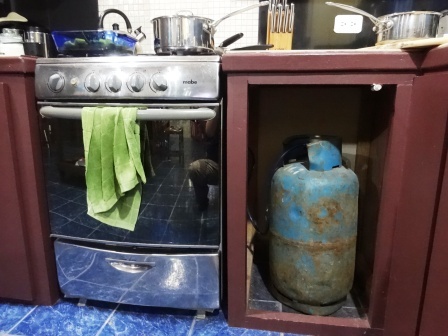 Boiling tap water, having a purification system, or buying bottled water is common for drinking and cooking in Ecuador. Be safe when drinking water in Ecuador. You have to be careful even with the large bottled water services. Some have had the water checked and it wasn't completely up to drinking standards. We do drink this water and recently had a really bad bottle. Other than that it has been pretty good. Our kitchen complete with drinking water dispenser. 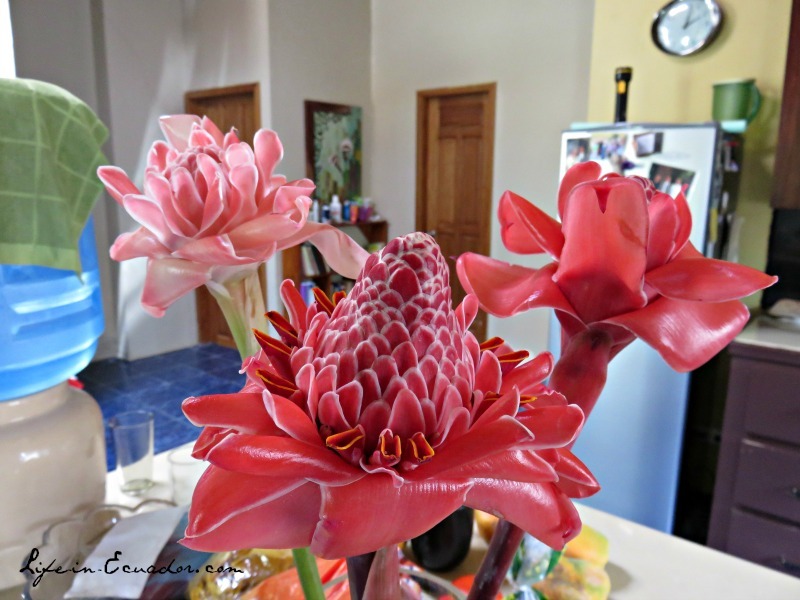 Yes, the flowers are real. Hot water is also not common. In hot climates you often get strange looks when you ask for a hot shower, since the people prefer to bathe in cold water. In the mountains, most places will have hot water for the shower, but not the rest of the house; i.e. you have to wash dishes in cold water or with boiled water from your stove. In new apartment complexes, especially in areas with a high "gringo" population, you will find apartments and houses with hot water in all taps. The hot water is usually supplied either by an electric (110v or 220v) shower head or a gas powered, tankless, on demand system. The information revolution is in full swing in Ecuador. Internet is available in Ecuador with free WiFi hotspots available in many parks in Ecuador's cities and towns. See this page for more on the Internet options available. Land line and cellular phone service is also available in Ecuador. Cable and satellite TV with options in Spanish and English can be contracted through local companies or Direct TV. Most homes do not come with kitchen appliances; you have to buy your own. 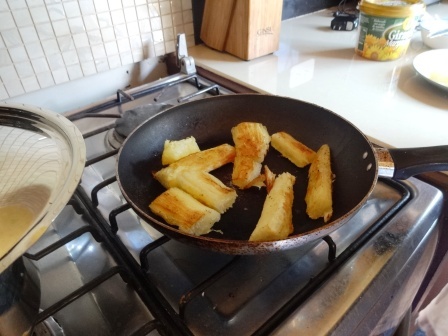 Typically, Ecuadorians still cook with gas stoves and cook tops. The tanks are delivered or can be exchanged at local distribution centers. The government is trying to get people to switch to induction stoves and ovens. However the quality of the induction stoves and the cost of special pots and pans has resulted in many to continue cooking with gas. The electric company is installing 220v plugins for induction appliances in kitchens. Ecuador housing is usually secured in several ways. Properties are often fenced or walled in. It is common to see bars on windows and doors, even in low crime areas. Home security systems are available with monitoring services that can been contracted for a monthly fee. One such service offers a security guard that goes by the property once a day to watch for suspicious activity and responds to alarms 24 hours a day. For the most part, you will find a bigger inventory of apartments to rent over private homes with their own garden. Where we live, there is a big trend to pave even square inch of a property. I guess people don't have the time (or desire) to beat off the jungle in their gardens. Learn more about renting in Ecuador here. Pets are usually allowed in Ecuador housing. There are always exceptions of course, so be sure to ask landlords up front. Many people keep dogs on the rooftop terraces or balconies.